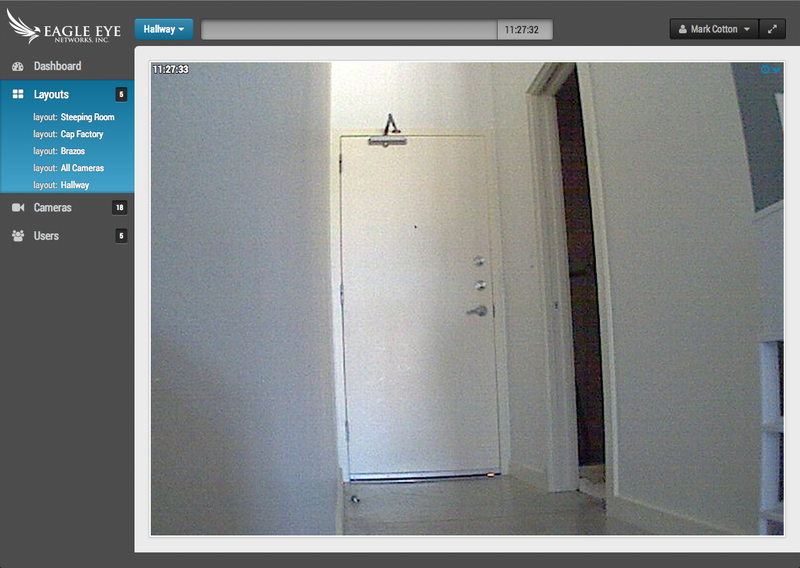 This blog post is an example of how you can use the Eagle Eye Networks API to embed the preview stream where ever you want. 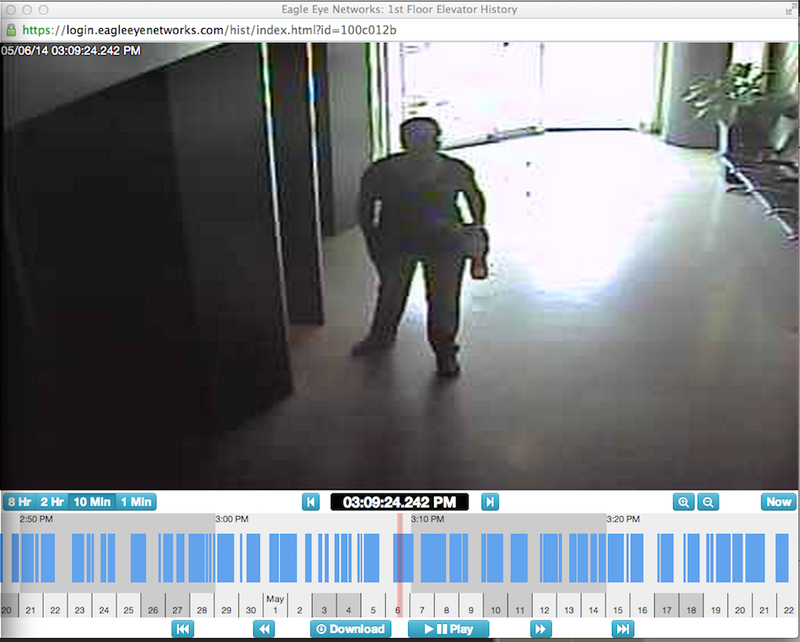 The API makes it very easy to get the preview stream for all the cameras in an account. The preview stream is a series of JPEG images and requires authentication. Our code today will show how to use the API to provide the images on a webpage without authentication. We are going to use the code at mcotton/watcher to run a Node.js server that will login, subscribe to the poll stream, notify the client and proxy the image requests. We could remove the poll stream to make the example very basic but it is worth going through it now. Download or clone the git repository. You can now open a browser at go to localhost:3000 and you will see previews show up as the become available on the server. Because we are subscribed to the poll stream we are only fetching previews when they are available. This makes it very efficient with the bandwidth. You can now treat the image URLs just like static assets on your server. You can put it behind your own firewall or you can make it publicly available. In both cases your username and password are safely stored on the server and never sent to the client. Our condo recently had some flood damaged and their are workers coming in and out to do repairs. My wife and I both work and do not feel comfortable with strangers in our house without us. 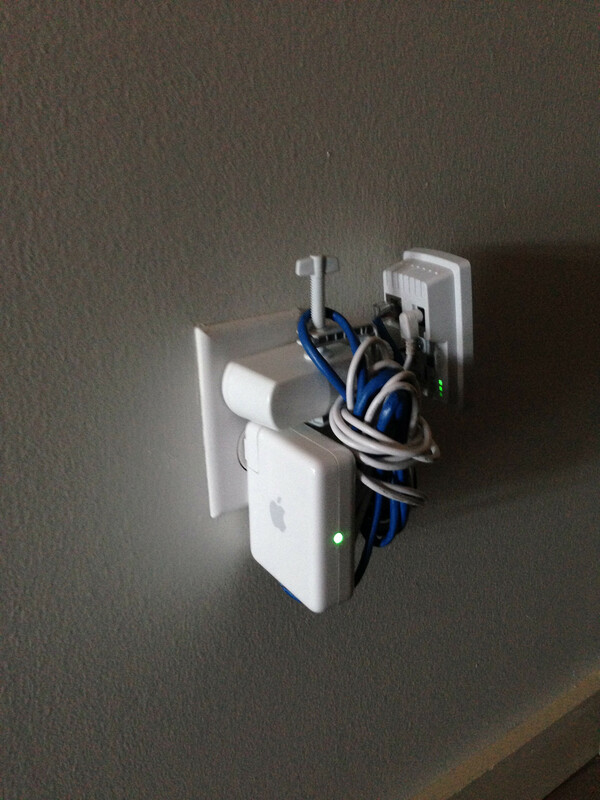 We don't have the needed wiring in our hallway and my wife didn't want to see any wires run down the wall. So I made a wired camera wireless with parts I had laying around. First I needed a wireless to wired bridge. 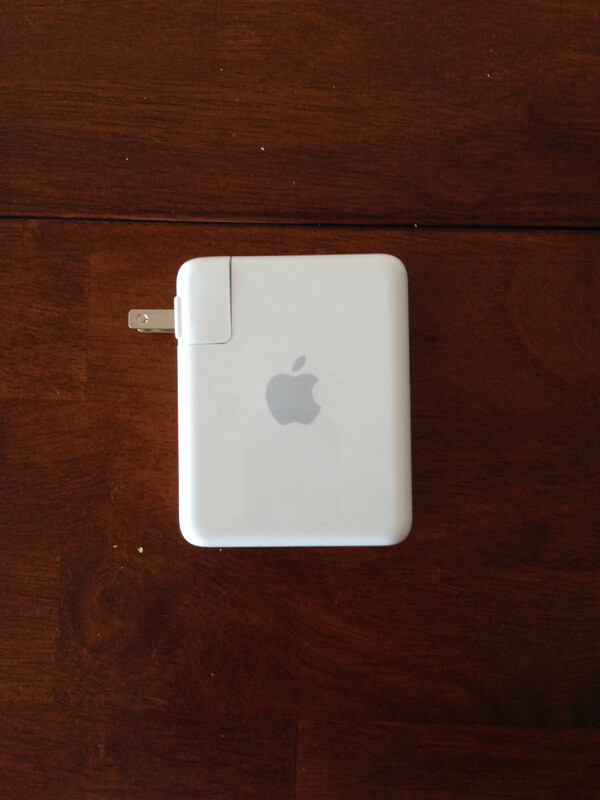 There are several specialty parts available that do this but one of the cheapest and easiest to use is the Apple Airport Express. 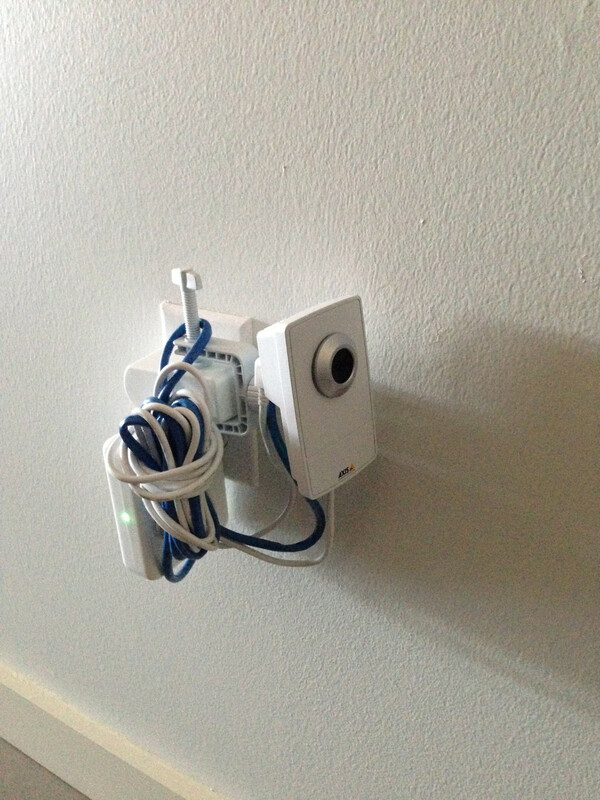 When you join it to a wireless networks, the ethernet port becomes a LAN port. I also had an older Axis M1011 wired camera. 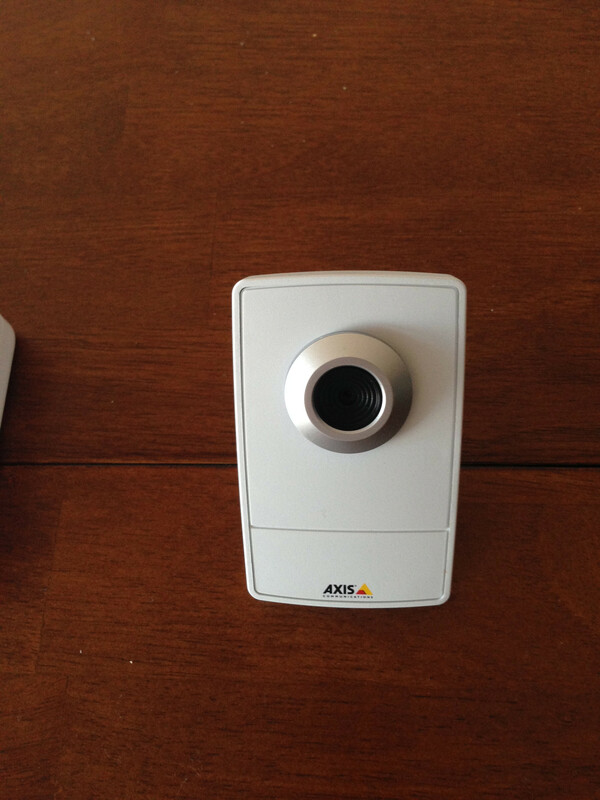 Any IP camera will work through the wireless bridge, but make sure you have a way to power it. You can use the Axis clamp bracket and the power supply to power and mount the unit. Plug it all in and it will work just as if it were wired. Want to test your server code but you inherited a code base without tests? Can't justify spending weeks writing test? Want to prove that your API is working? Need to debug the iPhone client but don't want to open XCode. Need the app to be location based? Use geoLocation. Need to store data localy? Use localStorage. Not a designer, having trouble laying out your css? Use twitter bootstrap. Want to use a design pattern like the cool kids? How about pub/sub with amplify from appendTo. Want to do it all client-side? You can jump around location using the links along the top. You can login with your Qliq login. Our users like to share the deal they just received with their friends on Facebook. We would like to know how well those links do and what kind of traffic they receive. awe.sm is a company that does exactly that. This blog post is about showing how easy it is to integrate into python and Django. This is real standard and nothing exciting. The link we are sharing is the same for every user and comes from a file of constants. Here is how we would use awe.sm to create a custom link per user and see how well that link does in the real world. So after everything is all buttoned up, this is what our final code looks like. I am trying to get some test for our code base that doesn't have any. None at all. There isn't even a documented test plan. And because a working webapp is even better documentation than a simple test suite. In an afternoon's worth of work I made a testrunner and in the off-hours over a couple days I made the webapp. Happy testing for everyone. We encourage our merchants to include a facebook page with their profiles so that users can share that page when they check-in, check-out, unlock a deal, or redeem a deal. But some people didn't understand what that means and we had all sorts of crazy input. Instead of explaining the steps they'll need to get us the correct URL, we'll just take whatever they mashed out on their keyboard and fix it. Django has some weird points, but it mostly has awesome ones. I needed to clean up our database and the interactive console was perfect. We are currently working on making our login system more forgiving. We started by creating usernames, and then people forgot their usernames so we now we are wanting to use e-mail addresses as usernames. This is great except for the users who remember their username. We decided to try logging in assuming they gave us a username, if that fails, try it again matching against their email. While we are at it we also smush everything down to lowercase so that we can eliminate some typos. We are don't differentiate 'Bob' and 'bob'. Sometimes you just can't remember what you set it to, or like me, you restore from an SQL file that you never knew the password for. Anyway, python to the rescue. It is a young venture backed tech start-up and I am very excited. Look forward to future posts about what I am doing there. So far the first day of training is going well. They are doing a good job explaining their market position and the direction they want to take.